Westover Building Supply Company has been a leader in supplying contractors and builders with quality building materials and products for 50 years. Our product line includes, Drywall Products, Steel Framing, Insulation, Fasteners, Drywall/Plaster Tools, and Plaster Products. Westover Building Supply also specializes in gypsum and other metal framing products. Quality sheetrock, drywall, gypsum, and all other building products in stock! Get in touch with us for any of your building needs. Call 413-532-9020 or toll-free 800-966-2534. 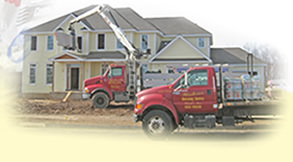 Westover Building Supply Company serves Western MA, Northern CT, Central CT, Southern VT and Southern NH.